The Orator is one of the main characters in the procession and the only player who speaks to the people, like a messenger. Each Orator speaks on behalf of one of the Seven Grandfather teachings through a commissioned spoken word poem inspired by it. These poems are delivered by megaphone at key moments during the procession as it flows down University Avenue. Each “word warrior” is paired with Deaf/HOH youth who sign each of the poems in ASL. The Orator’s costume is uniquely designed for the individual who plays each role and encapsulates both the spirit of the teaching but also the personality of the poet. Bidham Berma, from Malvern plays the Orator for Courage. 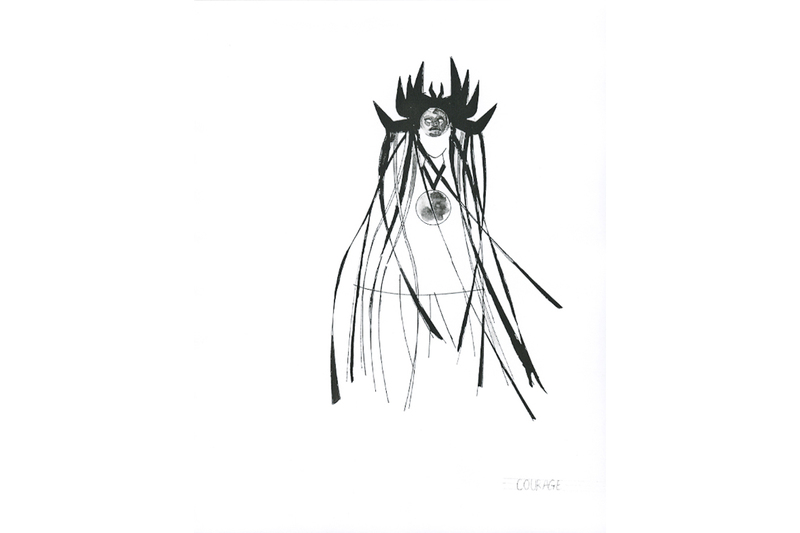 Here are a selection of Marlon Griffith’s initial sketches, artistic renderings, technical drawings, and images of the design process and creation of the costume for Courage’s Orator. 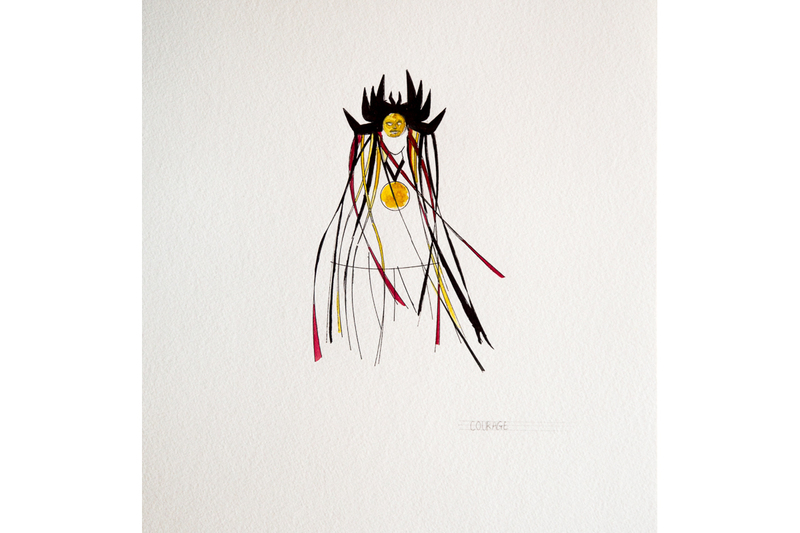 Berma is dressed in all white with a bear-claw mask that features long, black strips of fabric that flows from it. This mask, like the others in “Courage,” is the only one that contains a smaller mask inside it. Berma’s has fabric tears streaming from its eyes, again reflecting the ongoing tension in the procession between those things that are soft and those that are tough: the caring but fierce bear.